Add the appropriate shortcode (invoice or estimate) with the id attribute. Publish your page (or post). 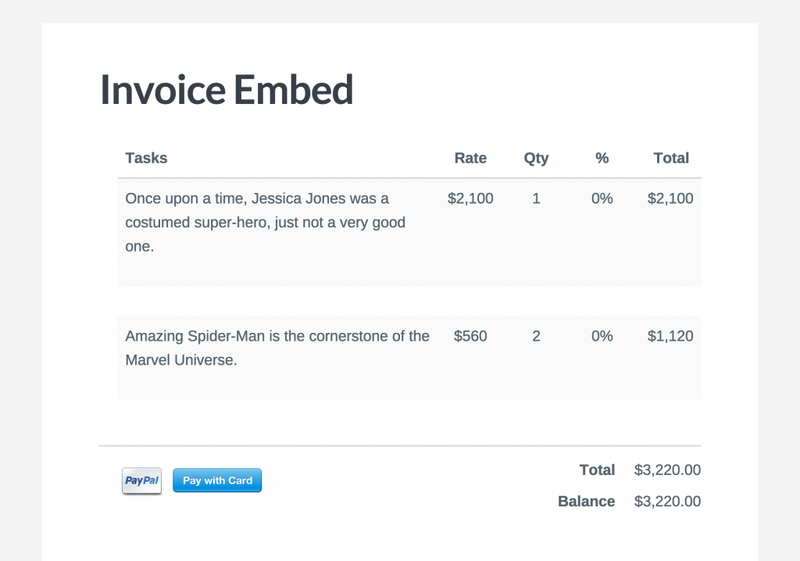 Below is an example of an invoice embed on a standard WordPress page template. The invoice_id (AKA post_id) in this example is “13783.” It is added to the id attribute of the shortcode. [sprout_estimate] is used on the page. The URL https://site.com/invoice-page-with-shortcode/?si_id=13783 would load the same invoice shown above.